Dublin's annual Culture Night is one of my favorite events of the year. All those places that I often walk by, admiring the facades and wondering what lies within, open their doors to the public. 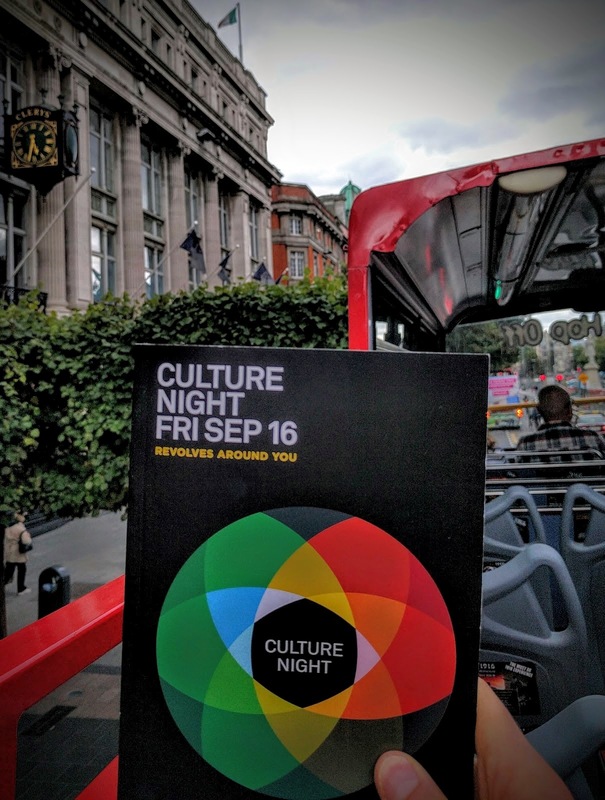 This year, thanks to the Dublin Visitors Centre and Citysightseeing Dublin, I had the chance to experience Dublin's Northside attractions for Culture Night. 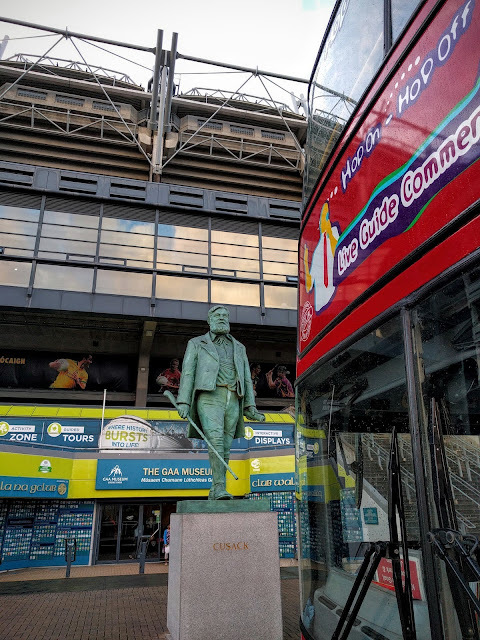 Scott (SubscribeDublin) and I were whisked by Citysightseing bus to Croke Park and Glasnevin Cemetery for an unforgettable evening. 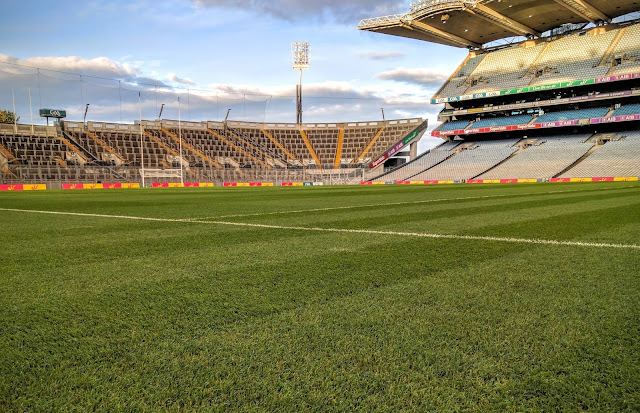 This post highlights our behind-the-scenes tour of Croke Park just two days before the All-Ireland Football Final. SIDEWALK SAFARI SPOTLIGHT: For other ideas of things to do in Dublin, check out our huge list of one day Dublin City itineraries to keep you busy. We got off the bus in front of the entrance to the GAA Museum at Croke Park. The most amazing thing about Irish sports (e.g., hurling and Gaelic football) is that it's an entirely amateur enterprise. The players aren't paid a cent to don their uniform and compete. 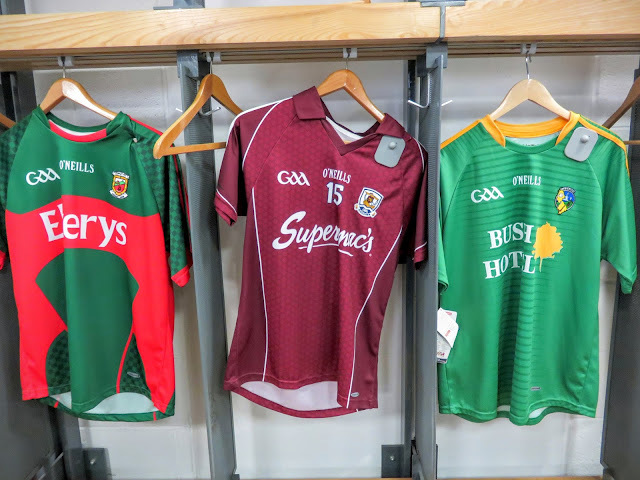 It's county pride and love of the game that makes men and women around Ireland suit up for the season. However, despite GAA technically being amateur sports, the quality is pure professional. For the two counties that make it to the All-Ireland final each year, they will take the field in front of more than 82,000 screaming fans at Croke Park. Our first stop of our tour of Croke Park (after a brief video introduction about Irish sport) was the tunnel. Giant hurley sticks featuring the colors of the previous year's All-Ireland final competitors (in this case Galway and Kilkenny) hung from the walls. Our guide brought to life the moment when the players' buses enter the tunnel, bringing the hurling or Gaelic football players to the locker rooms for the big game. Partway around the tunnel, we entered the GAA players' lounge. This is where both teams meet for a bit of refreshment after the match and toast each other to a game well-played in the ultimate act of sportsmanship. 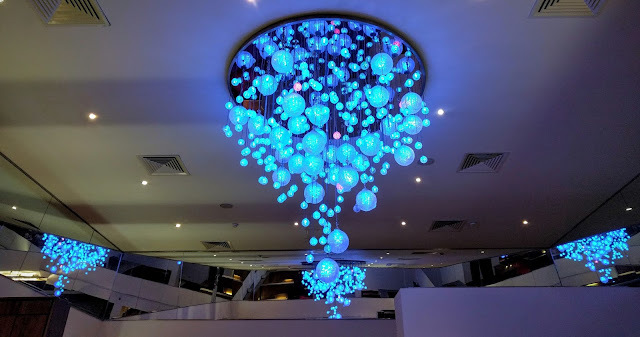 My favorite part about the lounge was the over-the-top chandelier. Handmade from Waterford crystal, the chandelier features 32 large balls (one for each county). The balls resemble GAA footballs. 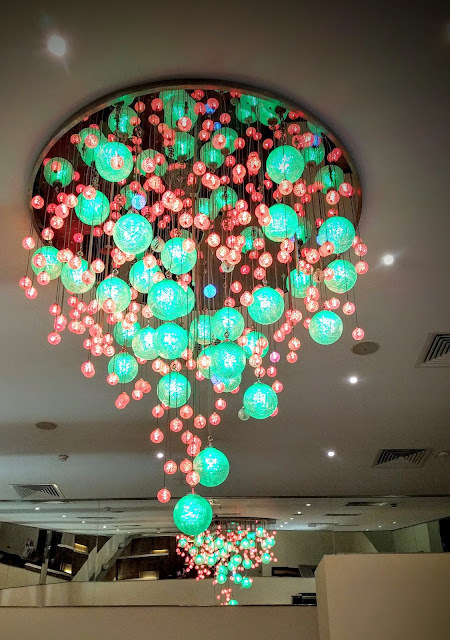 The small balls resemble sliotars, the balls used in hurling. The best part is that the color of the lights can be customized depending on who's playing! In this case, the light fixture displayed Dublin and Mayo colors in turn. Amazing! 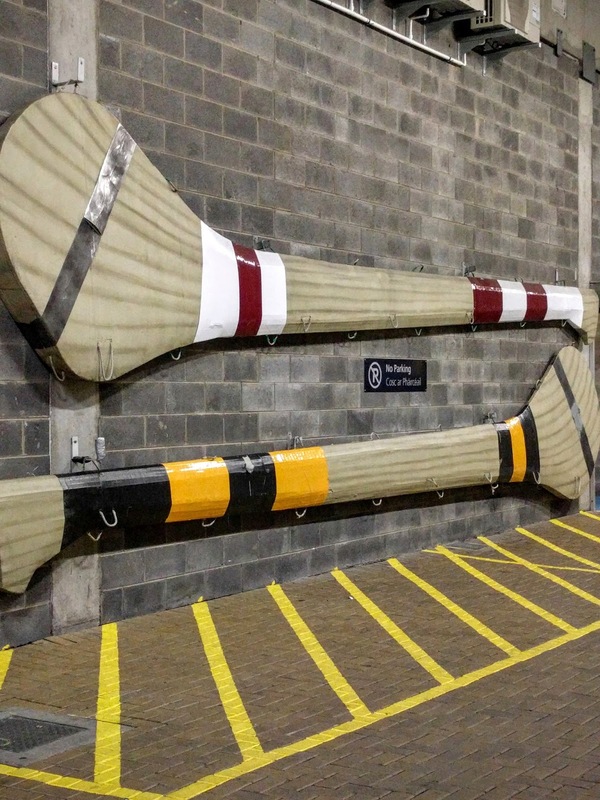 Continuing our fascinating tour of Croke Park, we entered the locker room. Jerseys for each member of the GAA (all the counties in Ireland plus New York and London) are on display. 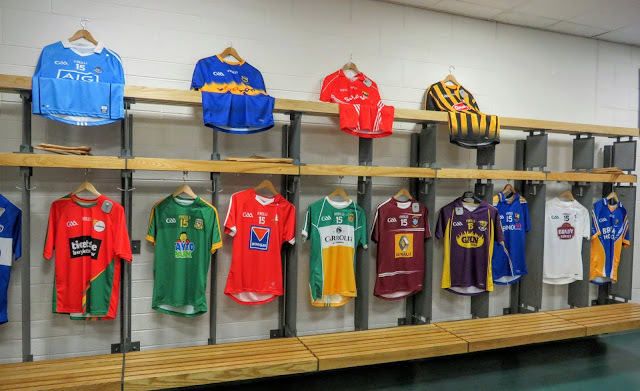 The teams that won the previous season (men's and women's hurling and Gaelic football All-Ireland Finals) are elevated to the top of the rack. In less than 72 hours, Dublin and Mayo would be donning their uniforms for the big 2016 All-Ireland Final. We were really lucky that Dublin's Culture Night fell just a few days before the All-Ireland Football Final. 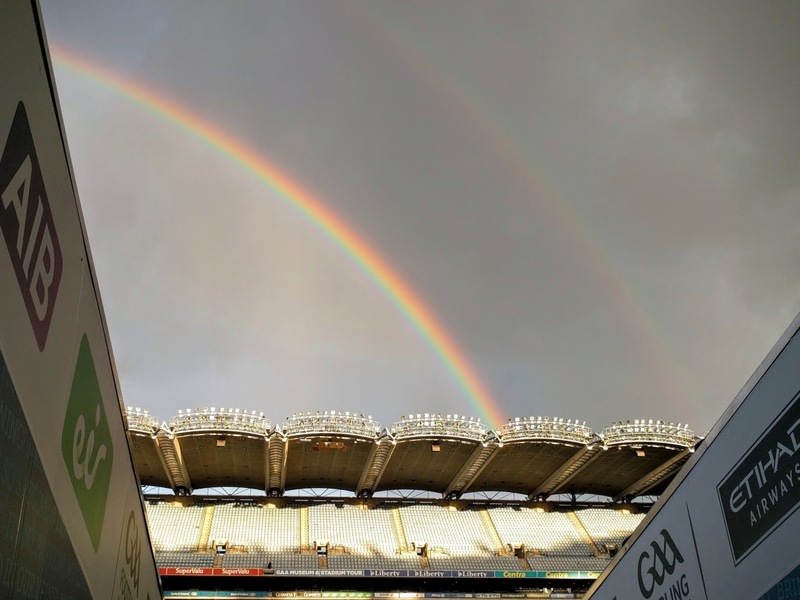 We were escorted down the tunnel to the field just in time to see a rainbow arching overhead. 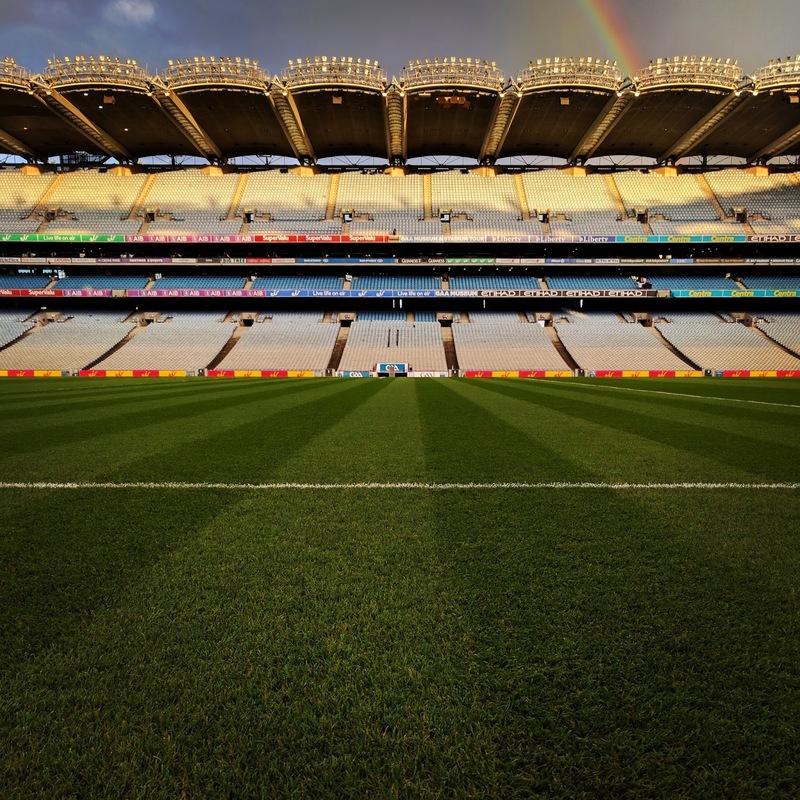 The pitch was neatly mowed and stood there waiting for Dublin to face off against Mayo on Sunday. 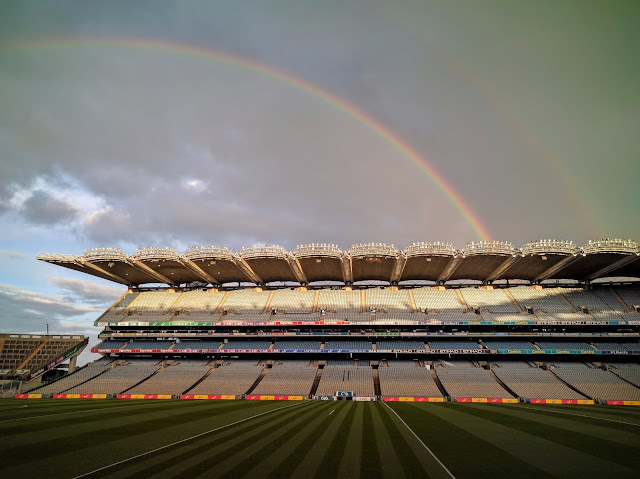 I could just imagine Croke Park's stands crammed with loyal fans wearing Dublin's blue or Mayo's green and red hoping they would have the chance to see their team crowned annual All-Ireland champion. Overall, the tour of Croke Park provided great insight into Irish sports and the GAA. We could just feel the history oozing from the walls of the stadium. What a fantastic Culture Night experience! Get an inside look at Croke Park on a behind-the-scenes tour during Dublin's Culture Night. A photo-rich post by travel blogger, Jennifer (aka Dr. J) from Sidewalk Safari.